Being born in the UK, it's amazing how little of it I've actually seen. Making more of an effort with that lately, one of the big trips on my list was a week in Northern Ireland. Living in Edinburgh, a flight to Belfast takes less than an hour, the quickest I've ever been on! Before we knew it we were already starting to descend and our adventure was about to begin. 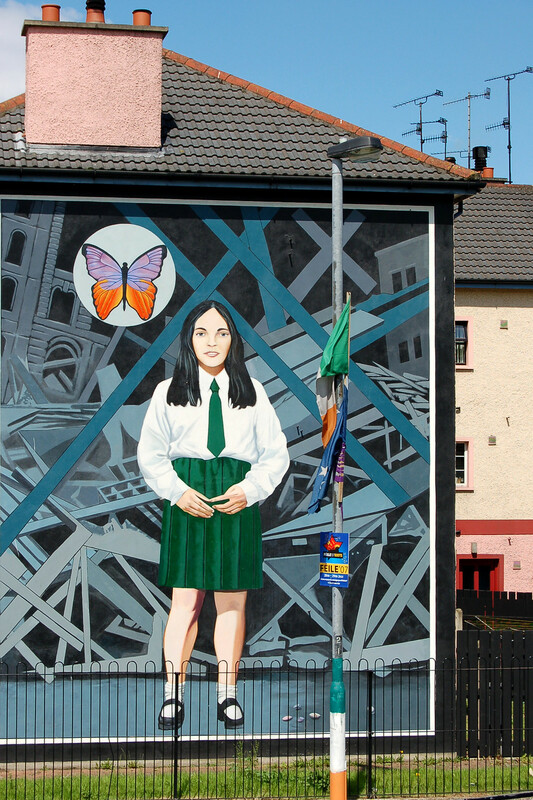 Belfast is the capital of Northern Ireland, and where almost all flights will land. It's a great base to both start, and end your road trip. As you'll also be flying home from Belfast, two days spent here can be split across the beginning and end of your journey. 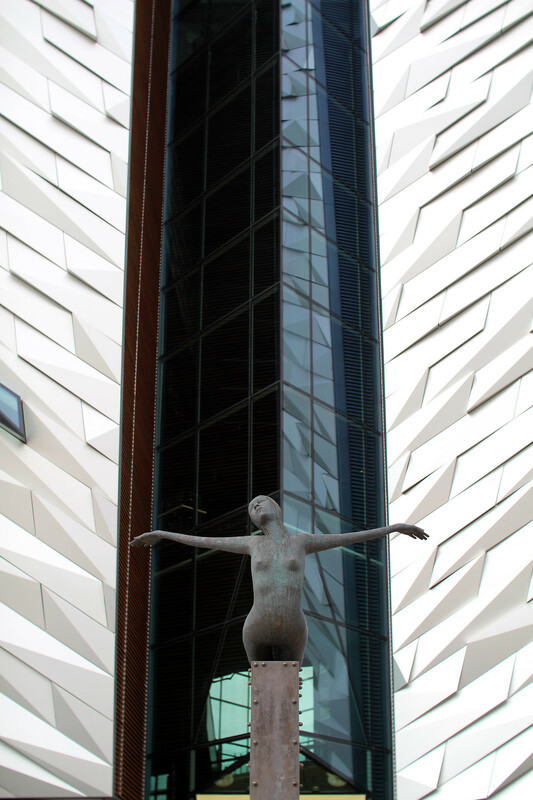 Start your experiences in Belfast by taking one of their iconic Troubles taxi tours. 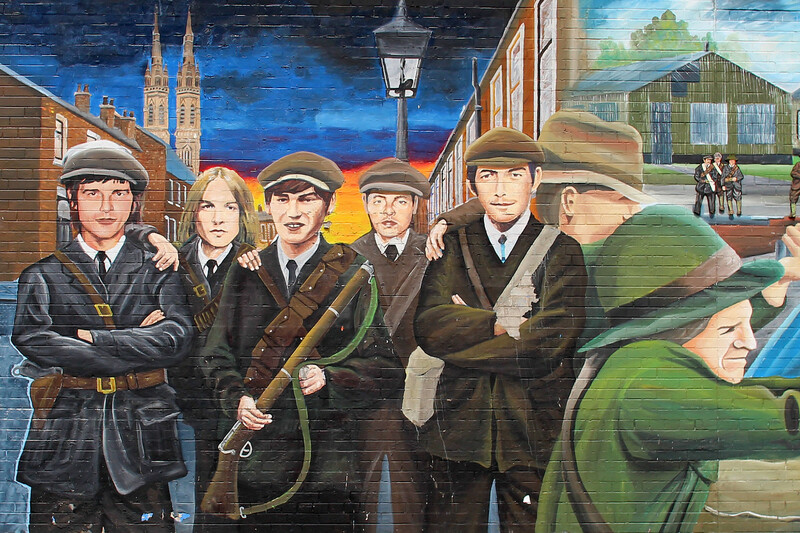 Become educated in The Troubles and learn what it was really like during the time, from a Belfast local. 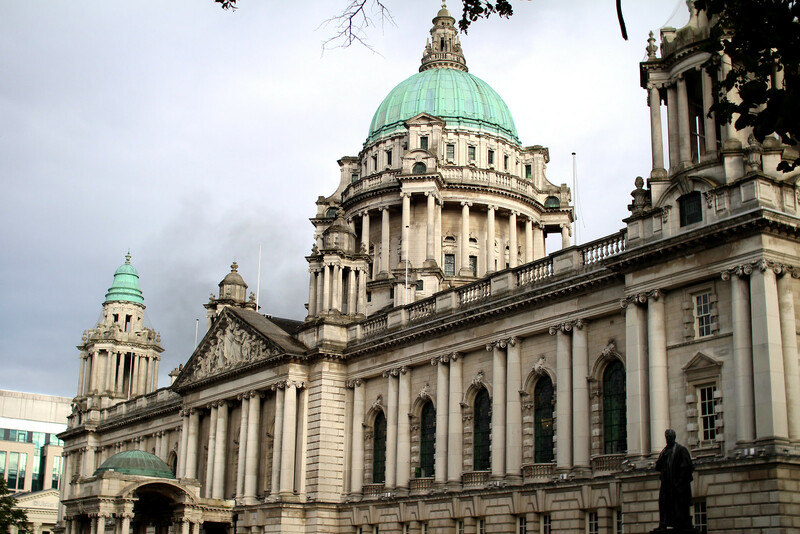 Head to the Belfast visitors centre across from City Hall to book a tour right for you. We booked one which lasted around an hour, and cost £75 for a taxi of six people. After your tour, head back to the city centre and grab some lunch. You'll find all the familiar chain restaurants and cafes in the Victoria Shopping Centre. Also home to one of the best views of the city, take the lift to the stop in the centre of the shopping arcade until you reach the dome. If you're looking for something more local, I can highly recommend the best sandwich of your life from Cuban Sandwich Factory, or Boojum burritos. From Belfast we hired cars, and headed for our next destination - the Causeway Coast. 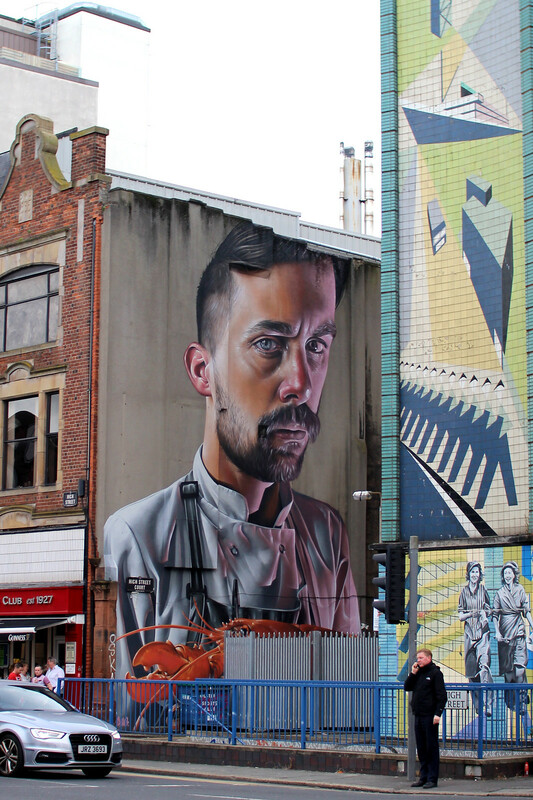 Read more about how you can spend 48 hours in Belfast. 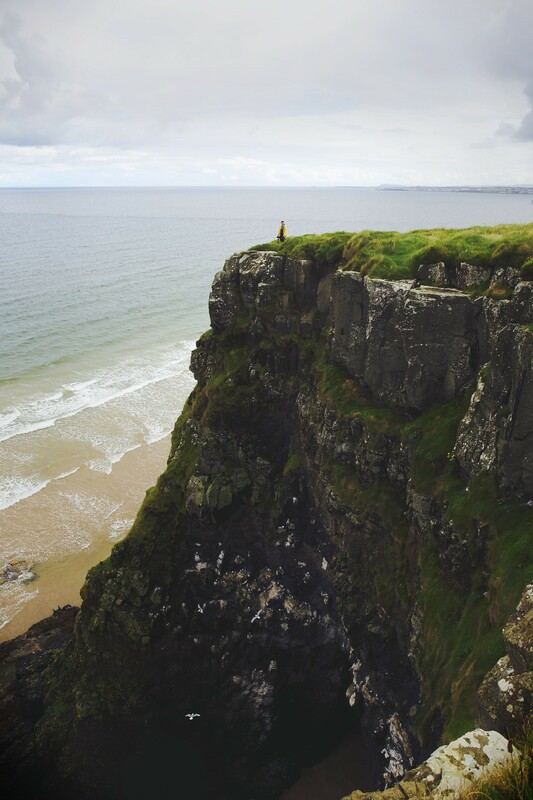 The Causeway Coast is home to the most dramatic and spectacular views in Northern Ireland. Named after the world-famous Giants Causeway, it's easy to see how the magic is captured by the dramatic cliff drops and winding roads. Like most things in the UK, the weather can be very unexpected in Northern Ireland too. 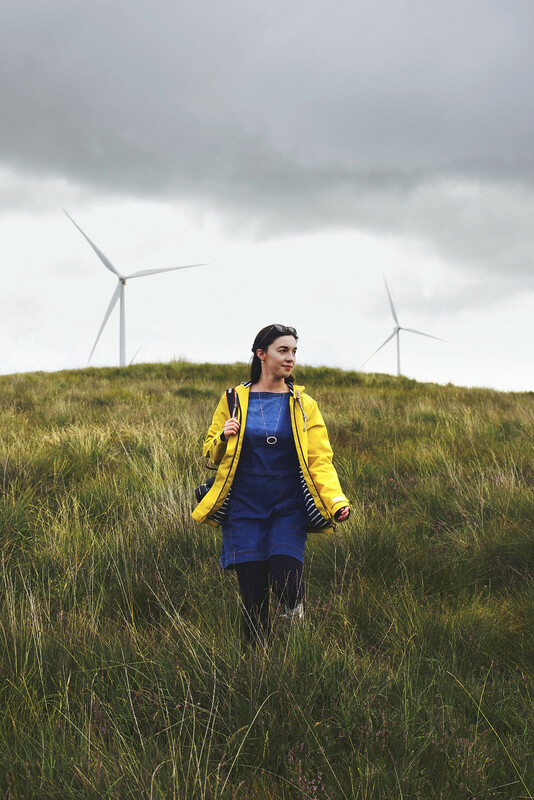 A glorious sunny start can turn to torrential rain in a matter of hours, so be sure to have a rain coat with you and some appropriate shoes to change into! This is exactly what happened on our morning at the Giants Causeway. The Giants Causeway is a National Trust site, however it's actually free to enter despite the signs. If you want to park at the site itself and enter the visitors centre or cafe, you will need to pay a fee. However you can avoid this fee by parking five minutes walk down the road at the terminus of the Bushmills railway for around £6 per car. Whereas the fee for the Giants Causeway is £10 per person. If you're looking to walk in, just go straight past the visitors centre and under the black archway once you've parked elsewhere. 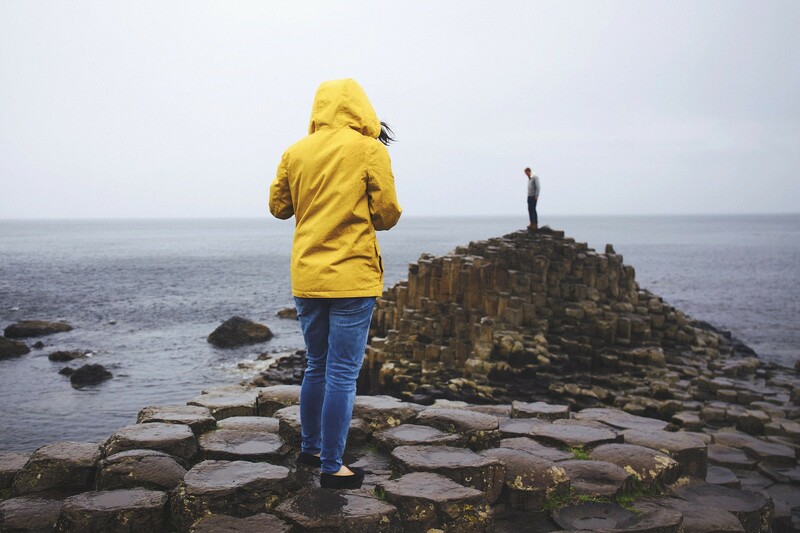 Despite the weather, the views and the magic of the Giants Causeway is still spectacular, and it's well worth climbing to the top. Just make sure you're not too afraid of heights! The cliff can also be quite a steep climb up the many steps. 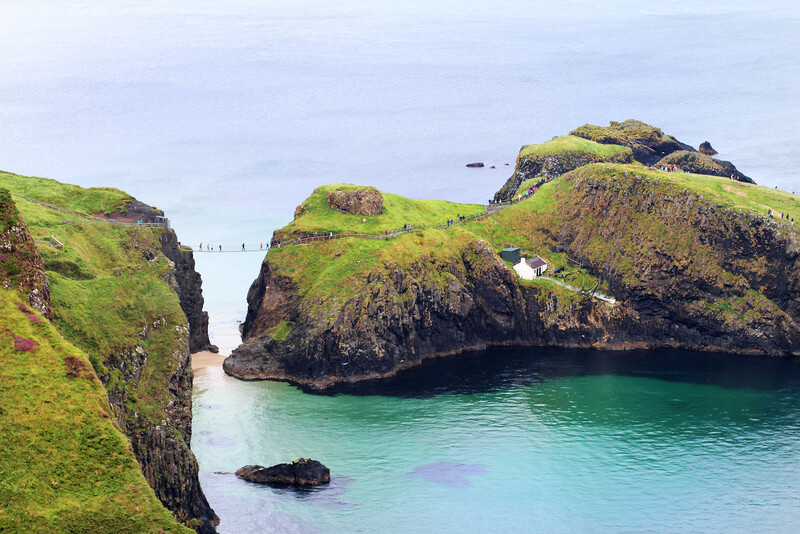 A short drive along from the Giants Causeway you'll find Carrick-a-Rede rope bridge. Another tourist hot spot, if you're hoping to cross the bridge be prepared to wait. If you're just looking to enjoy the view then move on, you are allowed to walk fully all the way up to the bridge without paying. In my opinion, the views of the bridge itself are the best bit, so it's up to you if you feel it's worth paying to cross! Factor in around an hour to walk the trail and back. Bushmills is a lovely village and a great base to spend the night. We rented an apartment for the night which allowed us to do our own cooking, but there are several restaurants and pubs in the area. 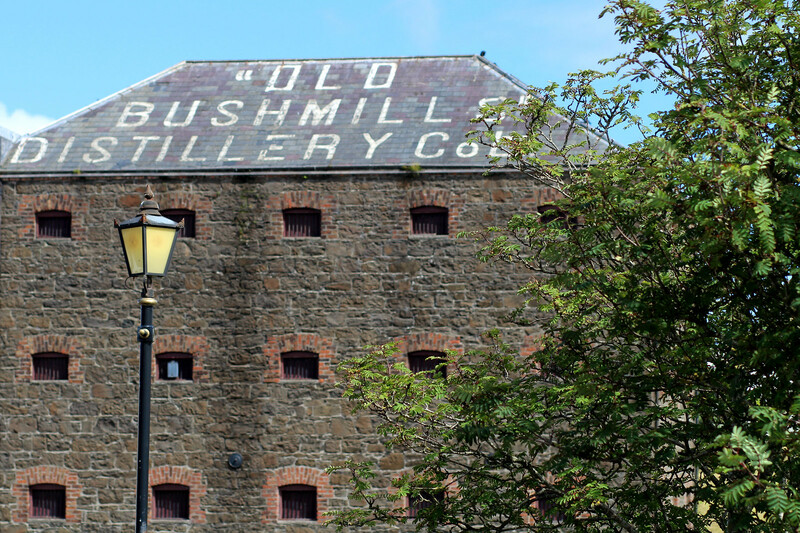 Most famous for the Bushmills Distillery, the worlds oldest distiller of Irish whiskey. By staying the night it allows you to pay a visit to the distillery, and enjoy a few drams of whisky before walking home, ensuring you won't miss out. 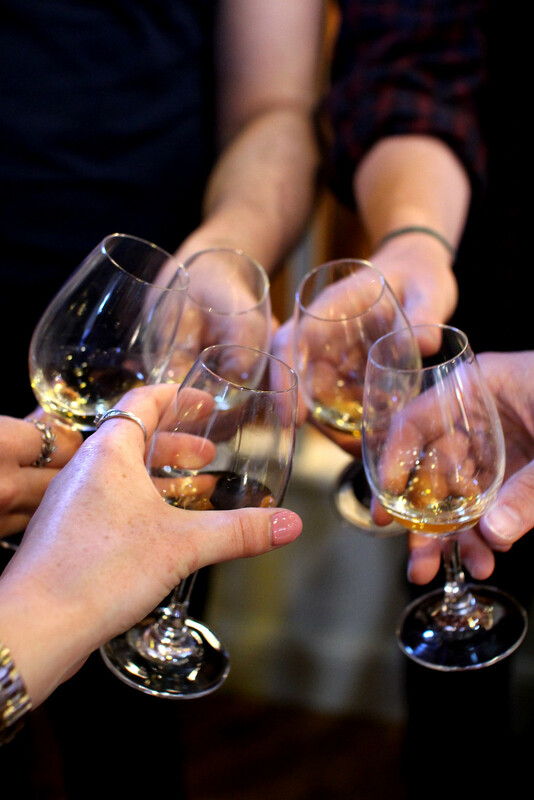 If you're hoping to visit the distillery make sure to leave enough time before the last tour at 4pm. Unfortunately unless you're a group of 15 or more, you can't pre-book a tour. We had a 40 minute wait until the next tour became available, and they do tend to be busiest in the afternoons. Not everyone is keen for whiskey in the mornings! 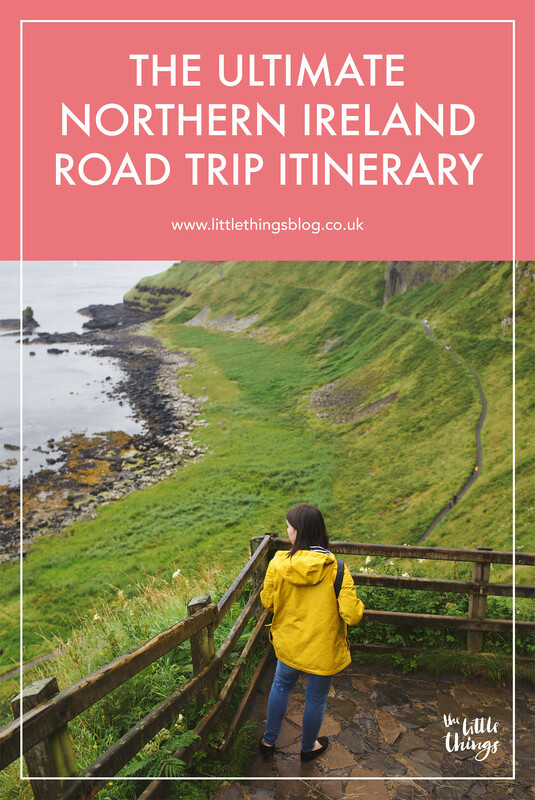 Back on the road and heading further along the Causeway Coast, there are several notable viewpoints worth stopping at. Some of them might even catch your eye out of nowhere when you're driving along! We had many moments of dramatic 'pull over here! now!' as incredible views once hidden around the corner suddenly appeared in front of us. 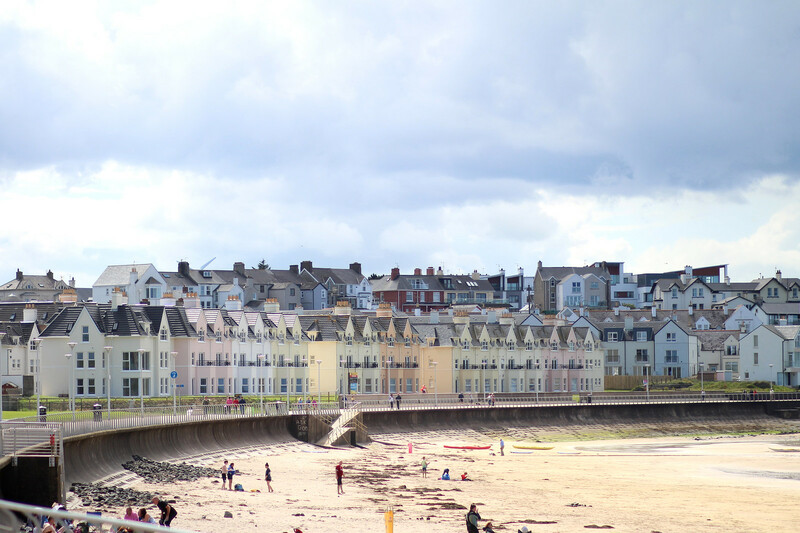 Relatively large seaside towns, home to postcard perfect pastel houses and ice cream shops galore. 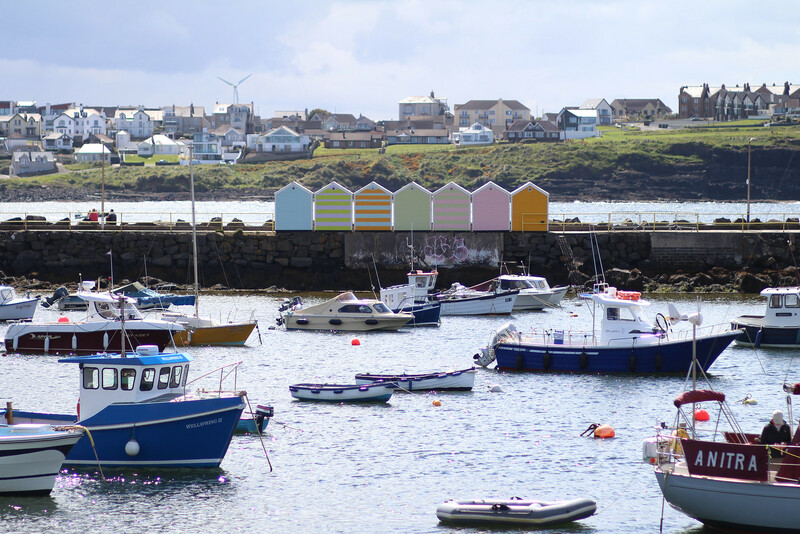 It's worth stopping in both Port Rush and Port Stewart for a stroll along the beach. Step back in time in the arcades and enjoy the penny slot machines. Be sure to stop at Morelli's ice cream for the best in town. There's also several accommodation options to choose from here, but they do tend to be cheaper the further out of town you go. This is one of my favourite stops along the Causeway Coast. A hidden gem tipped off to us by a local, we followed the map directions until we reached a caravan park tucked away on the coast. Thinking we were most definitely lost, we peered over the edge to find the most dramatic cliff drop and watched people walk up the hill towards Mussenden temple near Castlerock. A short walk later and we were greeted with the most impressive, yet unexpected view of the entire Causeway Coast. 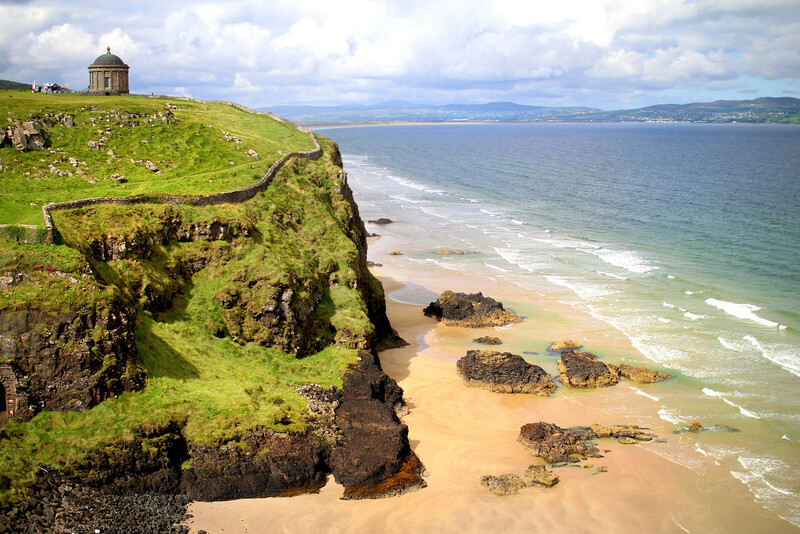 After passing through all the coastal views and dramatic coastlines, you'll reach the next biggest city in Northern Ireland, Londonderry. Take the opportunity to walk along the historic city walls, as you take in the 360 views around the city. Stop off at the charming craft village for unique gifts and prints from local artists. Be sure to look inside the guild hall, a beautiful building in the heart of Londonderry, which has a small free museum inside to learn more about the city's history. 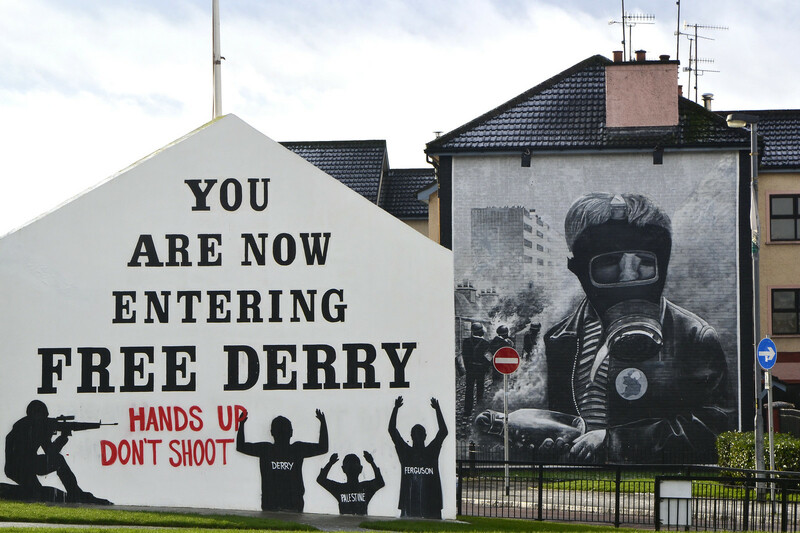 Londonderry is also home to several murals, similar to Belfast, each telling their story of The Troubles. These areas are safe enough to visit during the day, but do be respectful not to wear Union Jack print clothing or colours. We were advised to stay away from areas marked by flags, either unionist or nationalist, at night time. Though it is very much safe enough to do so during the day. 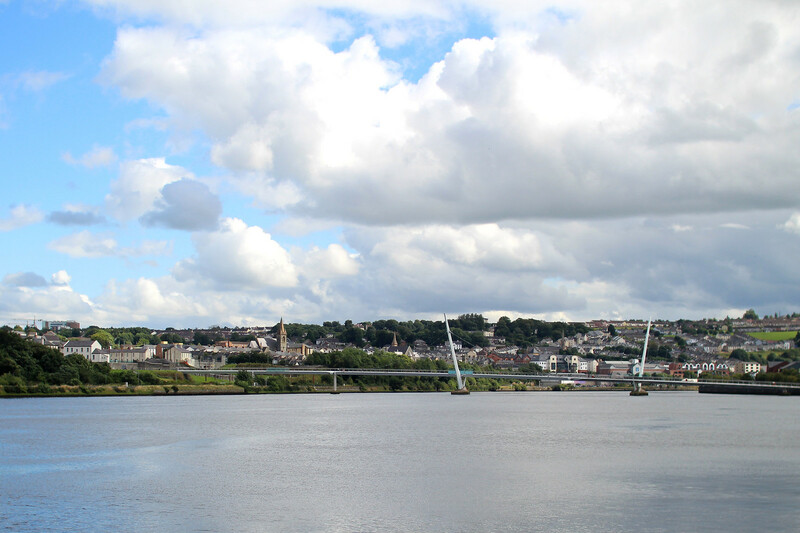 Read more on how to spend 24 hours in Londonderry here. Driving back to Belfast from Londonderry brings you full circle from start to end. 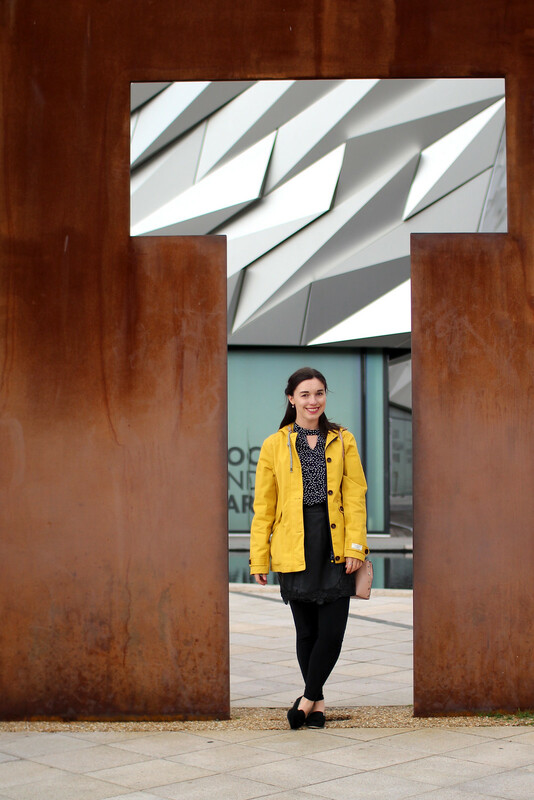 Booking an evening flight home means you'll have an extra day to spend exploring the rest of Belfast. 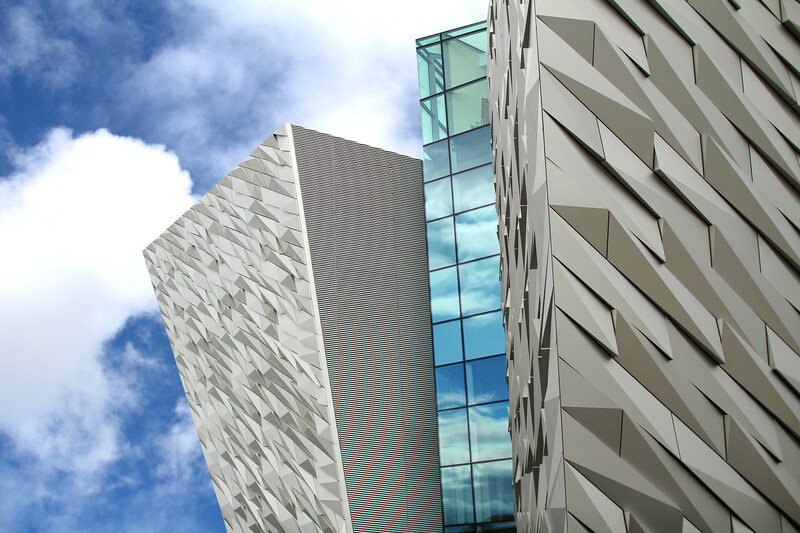 Work your way over to the Titanic Quarter to visit the world famous Titanic museum. It's quite expensive to enter, but well worth it if you have the time. If you've not got enough time, the building itself is a spectacle to behold if you appreciate architecture. You can also walk down to the shipyards where the Titanic was built, even without paying for the museum entry. The SS Nomadic ship is also docked just in front of here. An alternative to the Titanic Museum, or if you have additional time - I can highly recommend visiting the Crumlin Gaol. 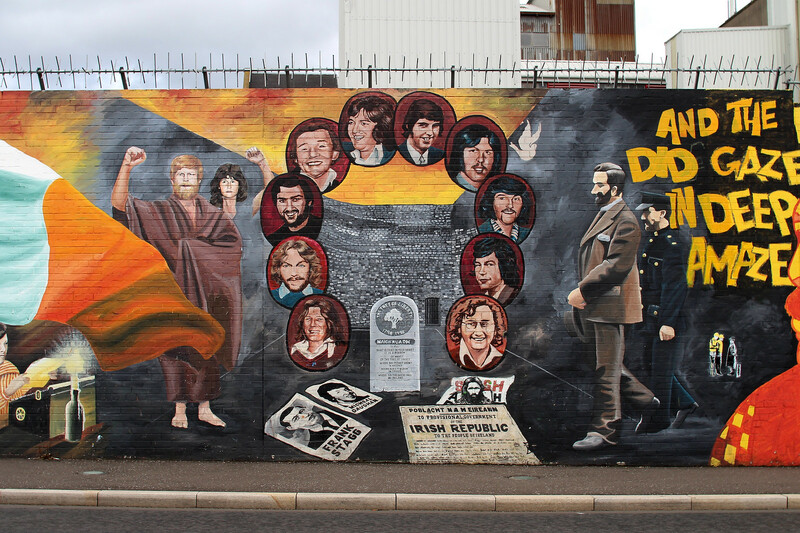 Especially following on from The Troubles taxi tour back on day one, the historic tour of the prison will complete the stories and help give an overall understanding. The prison itself is fascinating to visit, and oddly quite beautiful inside thanks to it's Victorian architecture. Be sure to leave at least two hours for visiting the prison, as you may have to wait for a tour to become free, and each tour lasts just under one hour. I hope this has helped you build your Northern Ireland tour! Will you be visiting soon?